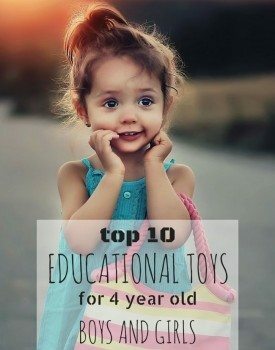 Top 10 Educational Toys for 3 Year Olds makes for an ideal first construction toy for your 3-year-old. 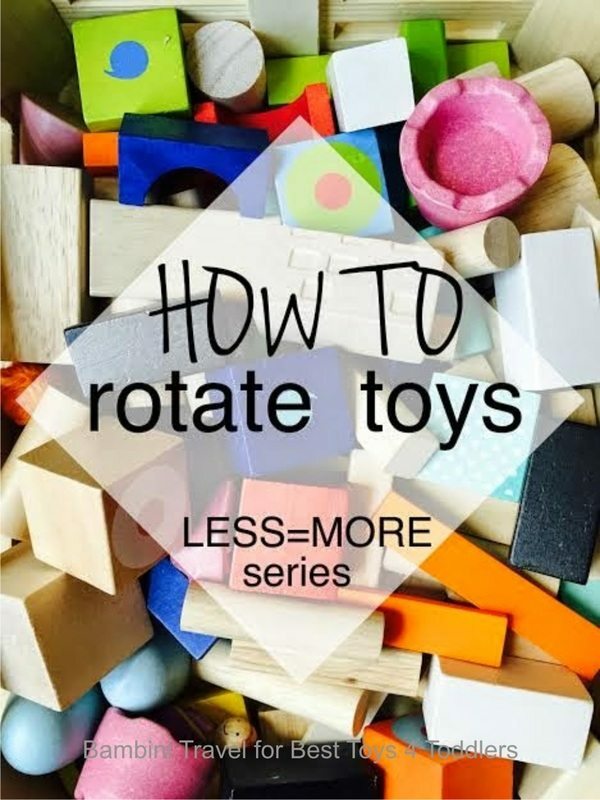 Your child will be too busy having fun with the set to realize that they are actually learning and building on so many important skills, as they build up their tall 3-D structures. Manipulating the small pegs into the different shaped and colored peg boards, provides an excellent workout for their fine motor skills and is great for working on their hand-eye coordination. They will need to put their logical thinking skills and creative problem-solving skills to good use, as they work out how to make their tower stay up. This set will grow up with your child and the will enjoy creating more elaborate structures as they get older. 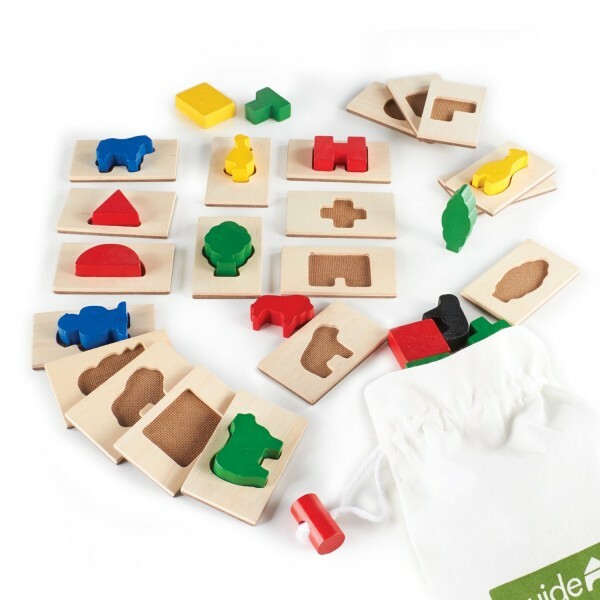 This wooden shape and tile matching game is an excellent sensory shape game, which works on reinforcing your child’s cognitive development skills. Wooden puzzles are such a good investment, as they can be enjoyed by lots of children over many years. Load up the wooden shapes into the canvas drawstring (this is very handy for storage after you have finished playing as well) and place one of the 20 tiles in front of your child. 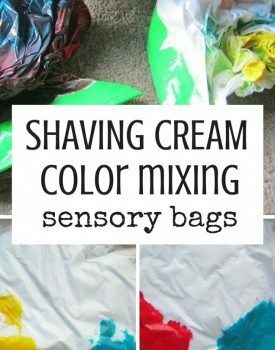 Ask them to put their hand into the bag and feel around the different shapes until they find the one which matches their tile. Once they have completed this, then move on to the next tile until they are all completed. An all-time classic, playing and learning with LEGO DUPLO will never go out of fashion and is a must-have building toy for every 3-year-old. This sets comes in a handy LEGO brick-shaped storage box making it easy to store. 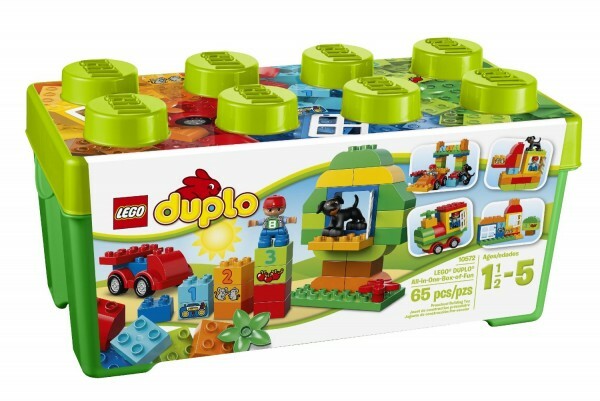 It includes a wagon base, 2 window elements and a dog as well as a wide selection of other DUPLO bricks for your child to build and create with. There is also an added educational element to some of the bricks inside this set. The set includes numbered bricks, which can be connected up with their matching corresponding pictured bricks. Mess-free teaching tool is a fun manipulative to work on letter and number formation with your child. 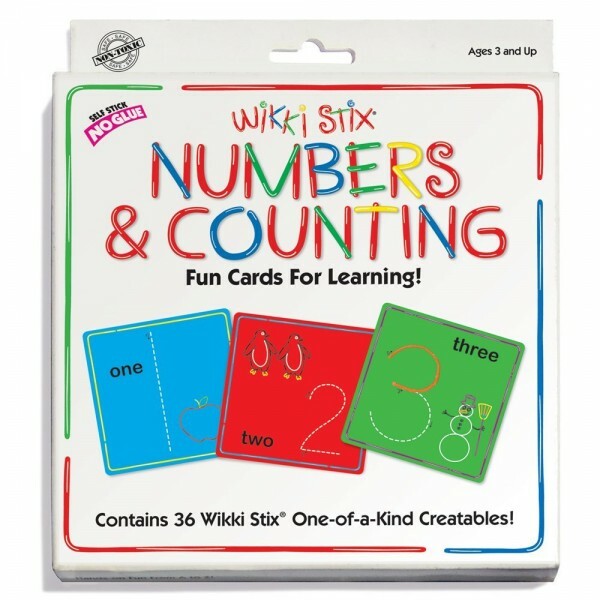 Wikki Stix are colorful, non-toxic wax and yarn strings can easily be stuck onto the individual letter and number cards using just the pressure of your child’s fingertips. 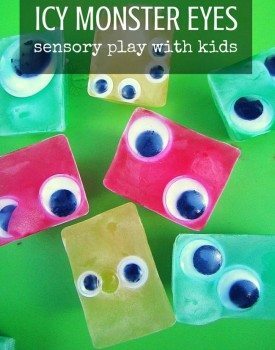 They can also be removed and replaced many times over, as your child develops in confidence forming the different letters and numbers. As your child gets bigger, the cards then be used together to spell out small words, as they begin to develop early reading skills. 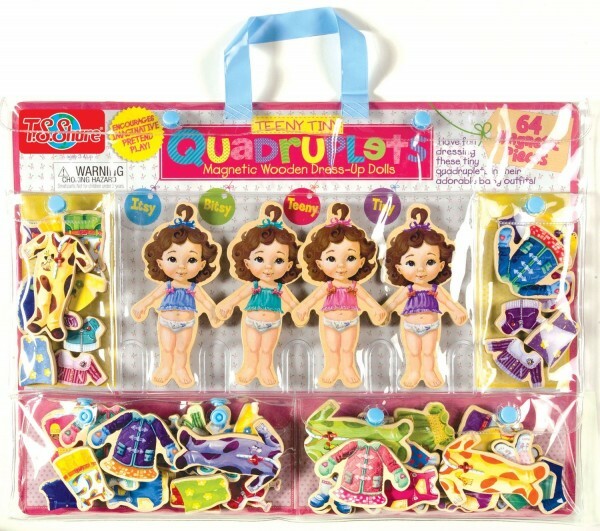 How adorable are these Teeny Tiny Quadruplets Wooden Magnetic Dress-Up Dolls Itsy, Bitsy, Teeny and Tiny! There are hours of imaginative pretend play fun to be had for your little one here, as they dress up the dolls with the 64 different magnetic outfit pieces, including daytime and nap time outfits. It is an ideal toy to bring out and about when you are going to a restaurant or a friends house, as it comes neatly packaged in it’s own clear carry bag with secure snap closure pockets. Help your child to explore and express their feelings on a role-play “egg-ventrue”! 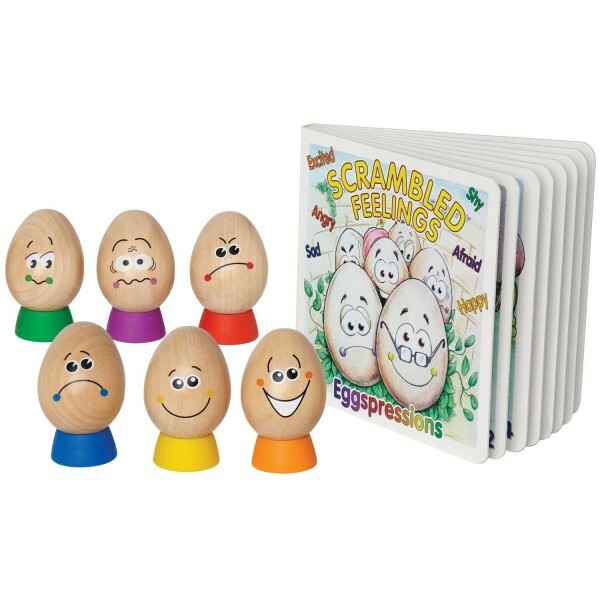 Kids will enjoy playing with 6 toy wooden eggs, matching egg cups and storybook in this Eggspressions – Game of Feelings. Role-play is an excellent way to encourage your child to talk about and then understand their feelings. They can find it hard to distinguish when they are afraid, angry, excited, happy, sad or shy, which can lead to anger and frustrations. This light-hearted story of Humpty Dumpty and his cousins is a gentle way to introduce and talk about these different emotions with your child. 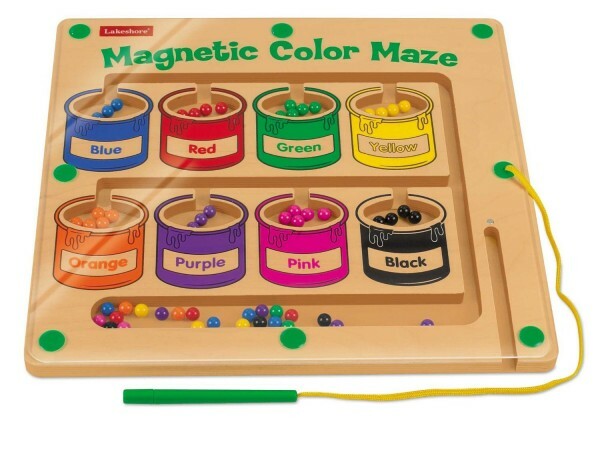 This hands-on Sorting Colors Magnetic Maze is a great way to explore colors with your child. Using the magnetic wand to move the colorful balls around the sturdy hardwood maze into their matching “paint cans” helps to give your child’s fine motor skills a boost. Whilst they play they are also working on color recognition and basic sorting skills. 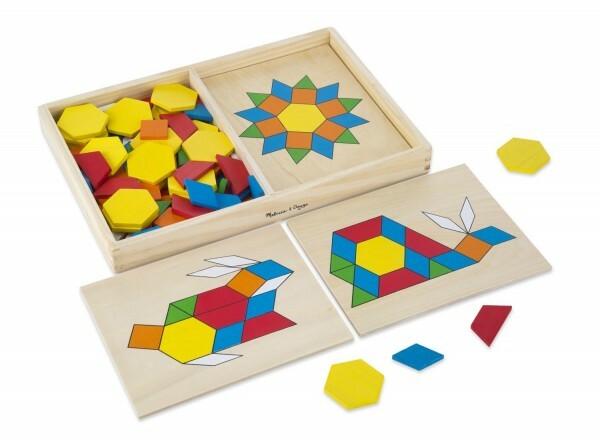 Using this Melissa & Doug Pattern Blocks and Boards set provides a fun and engaging way to work on shape recognition and spatial relations with your child. It comes with 10 simple colorful patterns for your child to follow, with the over 100 pattern blocks, which come in 6 different shapes and colors. They can they work away at designing their very own patterns as they get older and more confident. 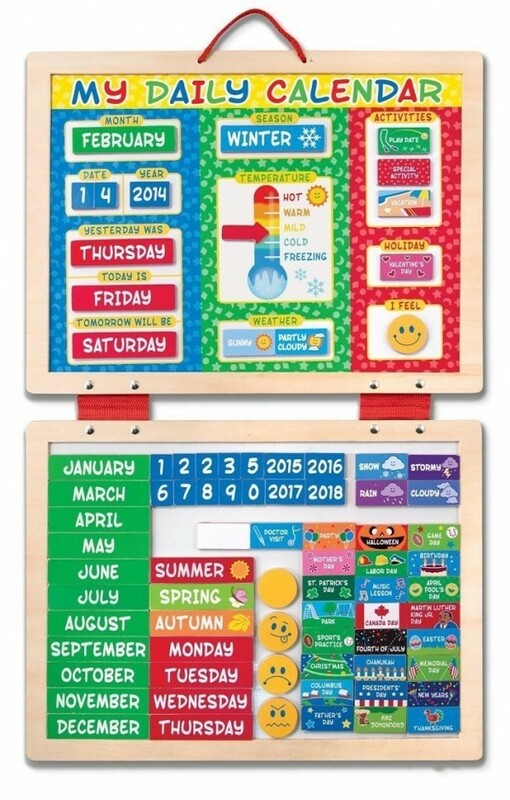 Another great toy from Melissa & Doug, My First Daily Magnetic Calendar is an excellent way to introduce the concept of days of the week and the date with your child. It comes with 80 magnets including years, months, numerals for dates, days of the week, holidays, emotions and special events. 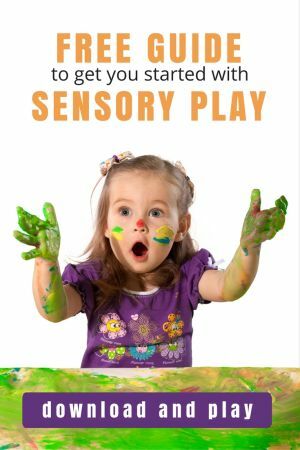 It is also a useful tool to encourage communication with your child, as it can be used in the lead up to special events such as birthdays and trips out. PLAYROOM 101 - COMING SOON! 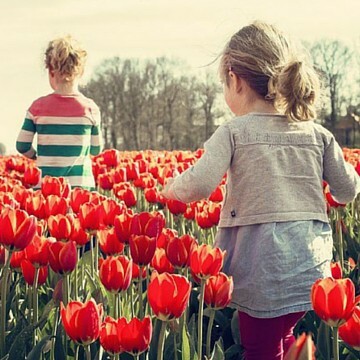 Everything you wanted to know to have a playroom kids actually use for PLAY! Our new book will launch in June 2016! Subscribe to get special discount when we have it ready for you! 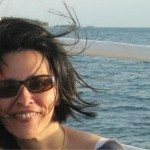 Just a click away from subscribing! Click to confirm and you're all set! Nicola is a former Librarian who now spends her time looking after and coming up with arts and crafts ideas for her sons Liam (7), Freddie (5), and Bella (3) to do together.